Balaji Telefilms Limited, India’s leading entertainment content producer operating across television, movies, and digital platforms, has announced the upcoming show, Dil Hi Toh Hai, will air on Sony Entertainment Television, while retaining the intellectual property to the show with itself. After its telecast on Sony, the show will be available to be consumed on the company’s OTT platform, ALTBalaji. Now, viewers of this show will be able to watch it whenever and wherever they want on their smartphones and laptops, even if they have missed watching it on TV. This is a pioneering step by the company as it aims to drive its digital future and expansion in the B2C segment through ALTBalaji. 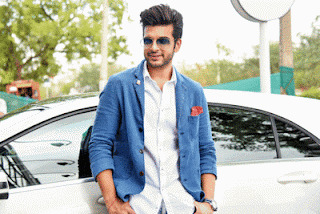 Starring Karan Kundra in the lead, ‘Dil Hi Toh Hai’ is a family drama centered around an industrialist family that deals in pharmaceuticals. It’s a story about siblings who love and respect each other despite differences. It also stars Poonam Dhillon, Akshay Dogra, Sudeepa Singh, Gurpreet Bedi, Yogita Bihani, Nyra Banerjee, and Asmita Sood in pivotal roles. By exploiting the digital rights of this show by itself, Balaji Telefilms and ALTBalaji have become the game changers in the Indian media and entertainment industry. As a content producer, Balaji Telefilms, for the very first time, has retained the intellectual property to a show produced by Balaji and licensed to Sony Entertainment Television to exploit the same on their TV Channel. ALTBalaji has already acquired a leadership position as India’s largest platform for original and exclusive digital shows with more than 15 million mobile plus web viewers across 90 countries. The digital platform currently offers 20 original shows in Indian languages across various genres such as romance, mystery, drama, and comedy. The platform also offers entertaining original shows for kids, along with short, hilarious regional stand-up comedy videos in Marathi, Punjabi, Hindi, Gujarati, Tamil, and Telugu. Balaji Telefilms is India’s leading integrated media conglomerate operating across television, movies, and digital content production. The Company, under the leadership of Mrs. Shobha Kapoor and Ms. Ekta Kapoor, continues to enjoy market leadership in the television content industry, a position it has held for over two decades, with an exemplary track record for content creation across genres and target groups. Balaji Telefilms is a household name which has produced some of the best television serials in the country, including the famous K Series of daily soaps such as Kyunki Saas Bhi Kabhi Bahu Thi and Kahaani Ghar Ghar Ki. It has created an extremely successful mystical fantasy series titled Naagin, which recently announced its season 3. Over the years, the company, through its movies business, has also demonstrated success in pioneering the production of differentiated cinematic content across various genres. Balaji Motion Pictures has been involved in creating a number of commercially and critically acclaimed movies such as The Dirty Picture, LSD, Ek Villain and Udta Punjab.